2N4403 is a kind of general purpose PNP Bipolar junction transistor used for low power switching and amplifier applications, where conduction is carried out by the movement of holes and electrons. This component is cheap, and is easy to work with so it is best suited when choosing a random switching device. It is basically used when you need a simple switching device for low power loads. Next it is mainly to introduce the 2N4403 pinout and 2N4403 circuit diagram for your demands. 2N4403 has 3 pins in total with individual configuration to make the whole chip achieve its function. also the pin configurations for 2N4403 are labeled already. A circuit schematic can better help us to understand circuits and components used, and it's a reference to make the actual circuit work. 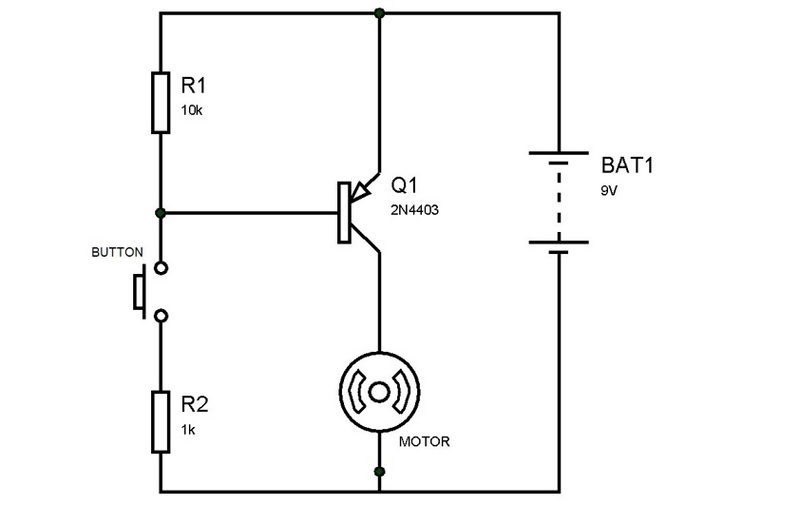 Below is a fully labeled 2N4403 schematic diagram for reference. Referring to 2N4403 Features, the first scene we can think is that it works as PNP bipolar junction transistor. Except that, there still have some other features and applications we may need to know, which can help us to make use of it well, such as simple switching applications, microphone pre-amplifiers, lighting systems, relay drivers, audio amplifiers, signal amplifiers. When NPN transistors are incorporated with PNP transistors, they construct a perfect bond through which current flows alternately from both side of NPN and PNP transistors.